Hang out with your friends and family with our All Day Fit class, designed to challenge you in a fun, supportive environment! Just starting out? Don’t worry. We scale every workout to meet you where you are. As your skills increase, so does the intensity of your workouts.” On the rest of the descriptions, please change anywhere it says ‘Fitness and All Day Fit classes’ to just All Day Fit class. 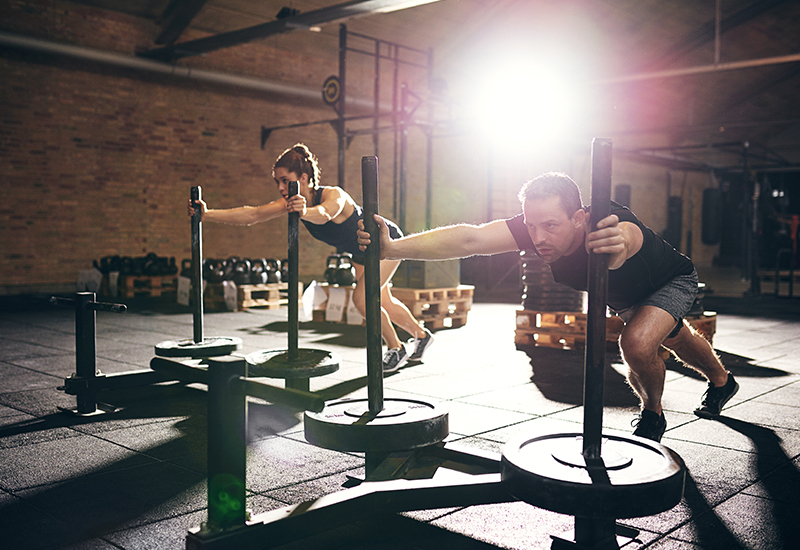 Under Strength/Muscle Gain, please write “Look no further than our All Day Fit class designed to challenge you and help you become a stronger athlete both mentally and physically through its incorporation of Olympic Lifting. We also offer Personal Training with one of our experienced coaches to work on your own primary, accessory or sport specific programming. Lastly, under Health & Longevity, please adjust the middle sentence to “We encourage you to ask about our All Day Fit class, Personal Training and/or our 6 Week Challenge to find the format that you enjoy the most. A combination of constantly varied function movement executed at high intensity with a high rep, low weight strength component focusing on weight loss and lean mass gains! What does that even mean?! Well, we’re going to get your whole body moving at high intensity for a longer period of time while ensuring you maintain excellent form! Every workout is scalable to you and your fitness needs, and different so you never get bored! Come learn something new, prove to yourself you’re capable of anything, and let our experienced coaches guide you every step of the way. Oftentimes, people eat healthy, but they don’t know what to eat or how much to eat to achieve their goals. In this program, you will develop a nutrition plan specific to your goals! Not only will this program help you develop great nutrition, but you will also have support from our coaches and peers. Want to learn more? Contact us for more information! In today’s busy world, it’s hard to find the time to get regular exercise. So it’s important to make the most of the time you have. All Day Fitness offers a wide range of personal workout programs to help you achieve your ideal body. Your personal trainer will develop an exercise regimen suited specifically for you, whether your goal is to gain muscle, lose weight, or excel at a sport. Our classes are designed to help you reach whatever aesthetic, performance, or health related goals you may have. If you’re interested in weight loss and toning, you’ll love our All Day Fit class and Fitness classes with the option to work with our in house nutrition coach. You’ll learn to fuel your body for your day-to-day demands while challenging your body in a safe way under the guidance of our certified (experienced) coaches. Our quarterly 6-week challenges are a great way kick start your weight loss in safe supportive group environment. Look no further than our Fitness, Olympic lifting, power lifting classes. These will challenge you and help you become a stronger athlete both mentally and physically. We also offer Personal Training with one of our experienced coaches to work on your own primary, accessory or sport specific programming. If health and longevity and just over all looking and feeling good are your top priorities, we got you! We encourage you to ask about Fitness, All Day Fit class, Personal Training and our 6 week challenge program to find the format that you enjoy the most. Our staff of experienced coaches are happy to work with you to help develop a workout schedule that will help you thrive to look and feel your best both in and out of the gym.